For some reason the blogroll on my sidebar disappeared early this week. I'm slowly recreating it. It might take me a while. The search function hasn't been working 100% of the time either. Hmph. Not cool Blogger, not cool. I was out of town this weekend (girly weekend at the lake, yahoo!) so I'm terribly behind on reading and commenting on blogs. Never fear, I haven't forgotten you my lovelies! Here's to another week, go make it a good one! I just started it last night and didn't get too far in because I was EXHAUSTED from my weekend getaway. I'm looking forward to your review now! A lot of books again this week, is it still quite warm where you live as well? The returned sounds interesting, I am curious to see how you like it. It has been very warm here (Northern Wisconsin) which leads me to read a LOT because I cannot stand being outside in that cruddy heat. Blech. I missed you, Jenn! Getting away for the weekend is always a good idea! :-) The Returned is on my reading list. I need to get to it soon. I can't wait to read your reviews on this week's reads. Thanks darlin'! It was a GREAT weekend :) I don't know if I've ever been so tired though, lol. Cool cover on The Returned and The Telling Room too. Hope you enjoyed the lake! You always read the most cool books :) I like to peek at your to-read list every week and see what I am missing. 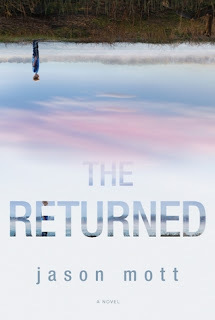 I added Owen Meaney to my wishlist because of your glowing review and The Returned is a book I also added to my list and hope to get soon. Enjoy the week! Thanks! That is a huge compliment :D I hope you have a great week as well! Glad you had a good weekend :) The cover of the Paterniti is eye-catching, but the title and the rest sounds awesome. I love that cover to bits ;) I hope you had a good weekend too Charlie! Hmm, I'm intrigued by the blurb of THE RETURNED... Looking forward to your thoughts. The search function on my Blogger blog was hit or miss a lot. Frustrating! I hope it's good. I've heard some great things so I'm crossing my fingers that I'll like it too! Annoying right? It was fine up until recently. Hmph. Oh I have The Returned on my read soon list, possibly get to it this week or next. It sounds so good I can't wait to get to it. Hope you enjoy it. I've been hearing some great stuff and I'm really hoping that I enjoy it :) I hope you do too! I've been noticing The Returned....I can't wait to read your thoughts. Thanks Laurel :) I hope you have a great week as well! The Telling Room looks interesting. 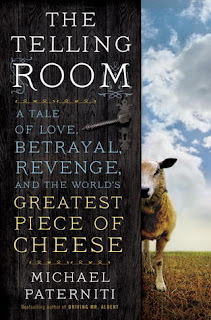 Who doesn't love a book about a piece of cheese? Books about food always make me hungry. I'll have to be prepared with some cheese and crackers if I read that one! There's almost nothing I love more than a delicious piece of cheese! :) Mmmm! I have Returned coming up soon. So many people are reading The Returned that I have become very curious about it. I need to see some reviews before I add it to my stack. 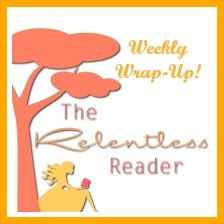 Come see my Monday wrap-up. Have a great reading week. The Telling Room! Woohoo! I hope you like it, and I can't wait to find out what you think of it. I hope I like it too!! Eeeee, you're reading so many things I've read, so you know I'm going to be sitting here waiting to find out what you think! It was quiet around here with you gone, I hope you had a great, relaxing weekend (I'M SO JEALOUS). We read so many of the same things, that's how I know you're cool. Ha ha, birds of a feather and all of that. ;) I did have a great time! It was so nice to hang out with the girls! Glad you had a great weekend and hope you recover soon! i'm never quite sure about those vacations that make me feel like I need a vacation. But they do seem to have some carry over energy in coming weeks. I need to recover from my break, lol. That's a bit sad isn't it? ;) But I needed that time away so BADLY. Yay for a weekend out of town! 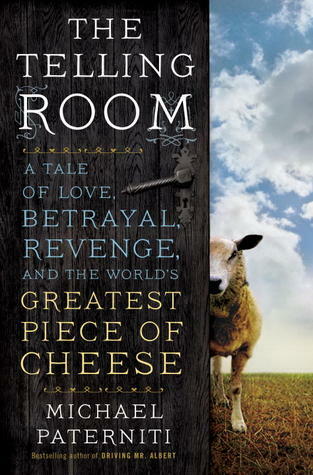 I am really intrigued by that book that mentions "the world's greatest piece of cheese". That is something I would love to eat. Yay is right, it was fab! Doesn't everyone? ;) If not, they should! Looking forward to the review of The Returned!